Protection angles and / or angle profiles ensure that the corners and edges of your products remain optimally protected. Angles are often extra vulnerable to damage during transport (easily against impacts) but also during storage (outer corners and edges are often hit first). 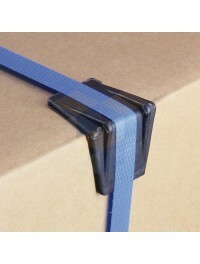 Also the fitting of straps (eg steel strapping) can cause problems, for example that your boxes are incised or dented. Angles can therefore use some extra protection. Protection corners are ready-made corners of cardboard, plastic or PE foam. Depending on the product to be packaged, you choose the protective corners that are most suitable for the application. The protective corners all have the function of protecting the corners of the packaged product during transport and storage. It is a cheap and very efficient way to protect your valuable products that little bit extra. Beschermd uw product- of palletranden tegen beschadegingen door omsnoeringen Lees "Specificaties" v..
Beschermd uw productthoeken tegen beschadigingen. Lees "Specificaties" voor meer informatie over di.. Corner protectors. The corners of doors, tables or sheet material can be safely protected against da.. Height 35mm. With these U-Tulip polyethylene foam profiles we have a whole range of profiles that of.. Height 41mm. With these U-Tulip polyethylene foam profiles we have a whole range of profiles that of.. Height 29mm. 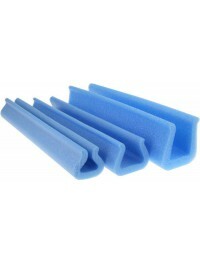 With these U-Tulip polyethylene foam profiles we have a whole range of profiles that of.. Extra sturdy due waving. When transporting and storing plate material or furniture, it is especially.. Extra long. With pins. 2x strapping guides. 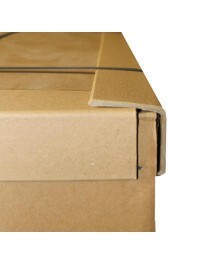 Protect your product or pallet edges from damage caused ..